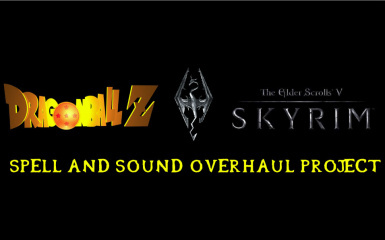 Adds Magic, Mayhem and New and Altered Spell Effects, complete ( or ) without Dragonball Z Voiceovers! Rigormortician, Redman and a special thanks to Akira Toriyama, and Bethesda! Dragon, Dragon, Rock the Dragonborn! 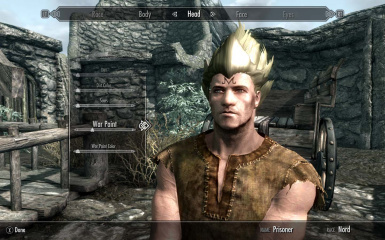 Here's our first pre-CK build of the Skyrim Dragonball overhaul. This has been a few weeks in the making, we hope you enjoy! This adds in 4 new and more improved KAMEHAMEHA'S! *NEW IMPROVED IMPACT EFFECTS....NOT EPILEPTIC SAFE!!!! Also you can just bring up console and type "help kamehameha 0 and just add to inventory that way! 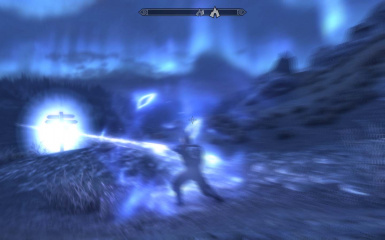 Also included is a BAT file ( in skyrim open console and type "bat dragonball" after adding bat file to skyrim. This will give you all the spells, double your run speed, increase your jump height so it hangs and you can fire quick charge spells while "flying", and drastically increase your unarmed damage to that of a saiyan warrior! 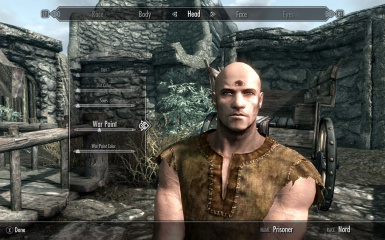 open the respective zip file and merge with your skyrim/data folder. More to come when the CK drops! Edit: I just added easy to install packs for goku and krillin for those who find the whole package install a PITA. Also added the warpaints to females as well (edit, need to fix them).